A private research university with more than 15,000 students from around the world, the University of Miami is a vibrant and diverse academic community. As more than half of the school’s new freshmen were in the top 10% of their class, the University of Miami prides itself on recruiting top talent from around the world. But recruiting at this level is no easy feat. “There are over 4,000 institutions of higher education and we all want the same students. If we’re not doing something different than our competitors, we run the risk of losing a student’s interest in applying to the university,” explained Carmen Perez, Senior Associate Director of Admission. While the University of Miami has always realized and emphasized the importance of attracting the right students, the university’s recruiting solution sat on a 20-year-old mainframe that required batch processing and provided no web services or real-time data. “The system was treating us just fine, but it wasn’t giving us the competitive advantage we need in the admissions space,” said Jack George, Deputy Chief Information Officer and Associate Vice President for Information Technology. An effect of siloed data, the recruitment experience also lacked consistency between the university’s schools and colleges. Subsequently, the University of Miami implemented Salesforce in 11 of its schools to manage recruiting processes, from high school visits and campus tours to prospecting and marketing campaigns. 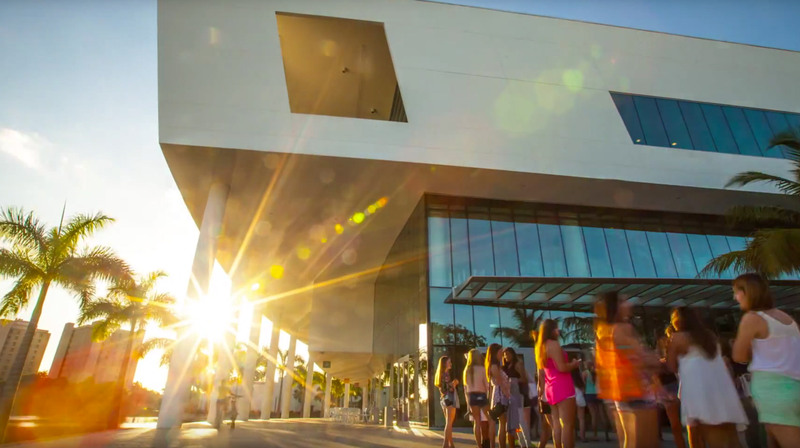 With over 30,000 campus visitors every year, the University of Miami now uses Salesforce to capture each visitor’s information and turn it into actionable data. Using an online form, prospective students enter their information on iPads as soon as they arrive on campus. Once entered, data is automatically logged in Salesforce, where a record is created and tracked via a ‘campus tour’ campaign. The university can then create targeted and personalized communications to establish a 1:1 experience with prospective students. “Customized communication is extremely important. We want these prospective students to be wowed by their experience with us,” added Perez. By tracking information like enrollment term, admit type, career interest, source, and demographics, the university can also create recruiting profiles. Profiles enable both graduate and undergraduate academic programs at the university to communicate targeted messages to their distinct population of students. Since marketing campaigns are administered and managed using Salesforce, these programs can easily measure the success of their respective campaigns and make real-time adjustments if necessary. “From inquiry through admission, we can analyze how individuals and populations interact with our marketing,” said Perez.